In the distant corner of northern Japan, a place known for terraced paddy fields and apple orchards, is the small village of Shingo, where lies a curious little attraction. 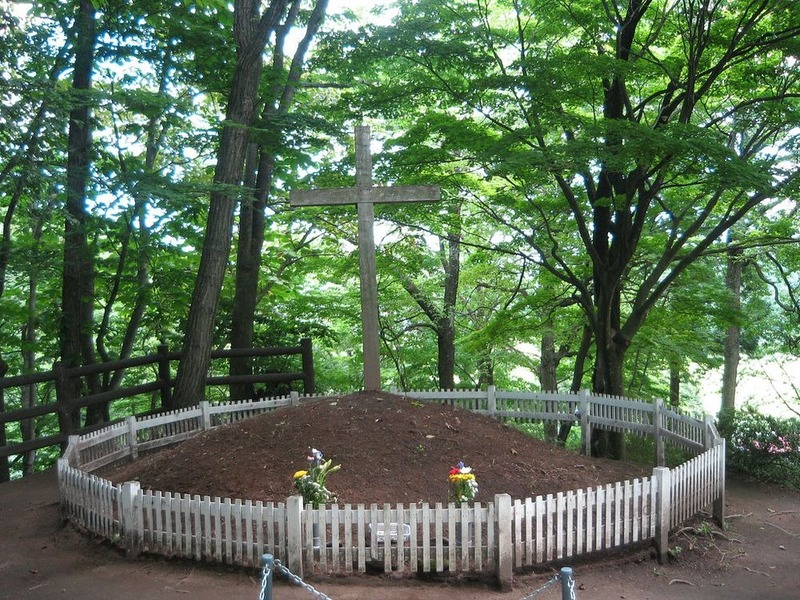 It’s a small mound of bare earth, in the middle of a bamboo grove, that is surrounded by a short white fence and marked with a large wooden cross. Under the pile of earth, allegedly, lies the remains of Jesus of Nazareth. According to this bizarre folklore, Jesus did not die on the cross at Calvary; instead, it was his kid brother, Isukiri. Jesus managed to escape crucifixion by switching places with his brother, while the real son of God fled across Siberia to Aomori prefecture in the far north of Japan, where he became a rice farmer, married, had a family and eventually died of old age at 106. There is even a family in the village who is said to be the direct descendant of Christ. But there is more to the story. According to the local legend, Christ first visited Japan at the age of 21 to study theology. He stayed in Japan for 12 years learning the native language and culture before returning to Jerusalem at the age of 33 to preach. The source of this outlandish story is the so-called “Takenouchi Documents”, allegedly discovered in the 1930s, that detailed the life and death of Jesus including those “lost years” not described in the New Testament. The missing period of Jesus’ early life has given rise to several speculations. Was Jesus in Britain? Did he visit Kashmir in India? According to the Takenouchi Documents, not only was Jesus in Japan, he died there as well. 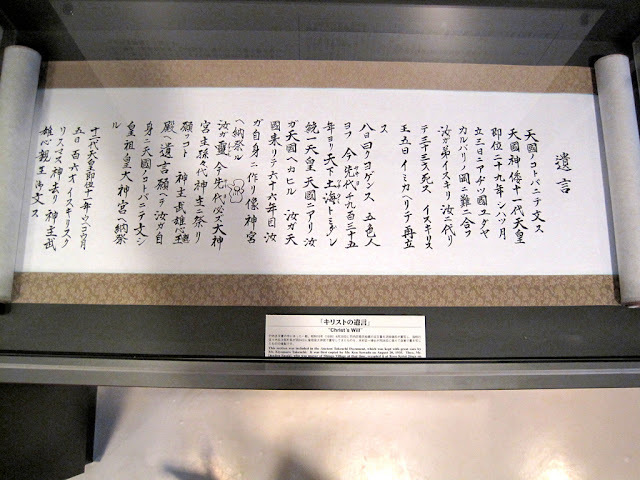 The theory was perpetrated by a Shinto priest, Kyomaro Takeuchi, who claimed to have discovered the documents, written in Hebrew, in his family library. The original documents have conveniently disappeared but Japanese and English translation of these mysterious manuscripts are available. 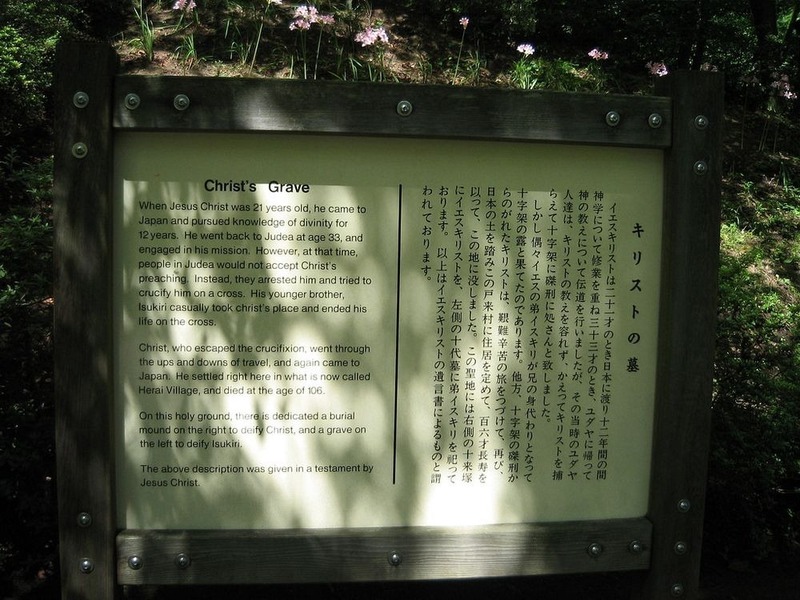 Although scholars have dismissed the theory and the documents are widely considered a hoax, linguistics experts point out at several similarities between the Japanese language and ancient Hebrew. For instance, the name of the village was previously Herai, which some say is derived from the word Hebrai, meaning Hebrew in Japanese. The villagers also maintain traditions that are remarkably un-Japanese. Babies are kept in woven baskets, and newborns have their foreheads marked by a cross. This symbol has no meaning in Buddhism and Shinto religion, Japan’s two major religions. The cross is also confusing, because if Jesus was not crucified, what does the cross signify in this corner of Japan? There are actually two graves at Shingo. One contains the body of Jesus, and the other contains a single ear of Christ’s younger brother, Isukiri, who took his place at the cross. In front of the graves is a basket where pilgrims leave coins in thanks for answered prayers. Some scholars believe that the tombs actually hold the bodies of 16th century missionaries. Even Junichiro Sawaguchi, the eldest member of the Shingo family regarded as Christ’s direct descendants, doesn’t truly believe in the legend, but he is wary of airing his opinion. When asked, he simply shrugs his shoulders. A City Hall bureaucrat, he has never been to a church nor read the Bible. “I’m Buddhist,” he says. well I have visited this place , sounds like a joke . may be during that century some priest or holy sage visited from middle east and lived there . during that century japan was not exposed to out world.